Beep beep! Choo choo! These are a couple of sounds you will hear on the Trucks & Things That Go application! 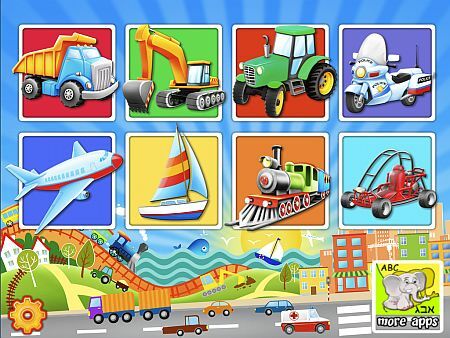 This puzzle vehicle application not only reads the words shown as puzzle pieces but plays environmental sounds of the vehicles. 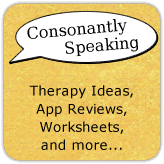 To learn how to use this application with your children in speech-language therapy and enter to win a copy of this application, continue reading. The Main Page of this application contains eight buttons for different vehicles, settings, and more applications. Choose between American English or Hebrew for the language and press "More Apps" to view more applications by the developer. Once a user chooses a vehicle category, a puzzle with outlines of approximately ten vehicles will appear based on the vehicle theme. One illustrated vehicle puzzle piece will appear at a time in the center of the screen. Press the vehicle to hear its name stated aloud. Press, hold, and drag the vehicle to its matching place in the puzzle. 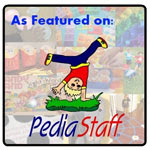 Once the user has placed it in the puzzle, its sound will play and a new puzzle piece will appear. 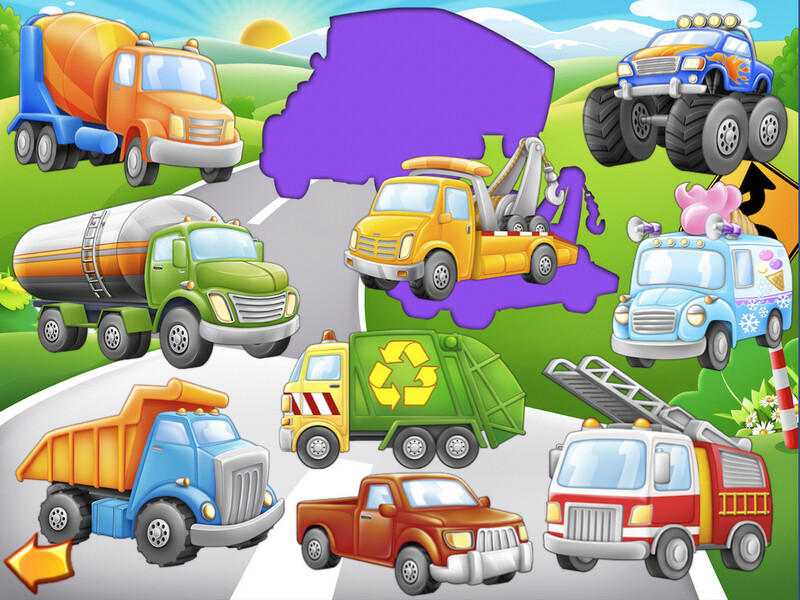 This application is perfect for categorization skills in regards to vehicles! You can use this application with younger children to help them learn different vehicle vocabulary. The application not only states the name of each vehicle but plays the sound of the vehicle as well! There are two different languages on this application to choose between - Hebrew and English. It would be great to have a setting to show text of the words of the different categories and vehicles for early readers. Having this option able to be on or off will allow for less cluttering when it is not needed, but great word recognition for those who need it! Categorization - Students will learn various categories of vehicles as well as those in each category. See how many additional vehicles a student can name in each category. Receptive Language - Students will learn and hear names of 70 different vehicles. Have them compare/contrast the vehicles in each category. Describe the vehicles by their parts, what they do, who drives them, where you see them, where you can buy them, where you can use them, what they look like, etc. Expressive Language - Have students write a sentence about each vehicle in a category or write a story about different vehicles. Auditory Awareness - Through hearing the sounds that the various vehicles make, students will learn which vehicles they go with. Have students state the vehicle's name that goes with the sound made. You can purchase Trucks and Things That Go for $0.99 for the iPod Touch, iPhone, and iPad. There is also a Lite version available to try for free! 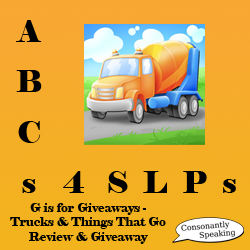 Consonantly Speaking was given a copy of Trucks and Things That Go to give away with this review. No other form of compensation was given. Enter the giveaway below for your chance to win the Trucks and Things That Go application!